Students in the After School Group will be doing Lexia, Dreambox, Lexia Skillbuilders, and small group lessons with the teacher. When a student has finished their work for the day, they may visit our class’ blog and choose an activity for themselves. On Tuesdays, students have the opportunity to play games of choice that are NOT listed below, such as agar.io. Each student has an individual plan for time spent in Lexia, in small groups, and in doing independent work. Thus, choice time will vary…except on Tuesday, when all students are allowed an extra 10 minutes of choice time. Remember that this week, we will be meeting from 2:22-3:15 on Tuesday, and Wednesday is cancelled. Enjoy your Thanksgiving weekend! What can you do this summer to stay in shape for next year and a new grade? What skills do you need to practice? San Jose Library Summer Reading Challenge!! Have a wonderful, interesting summer! We will see you next year!! 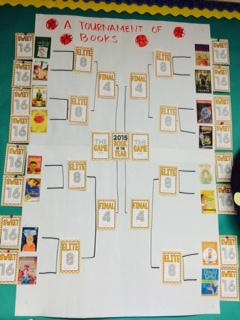 The Olinder March Madness reading campaign has started strong! 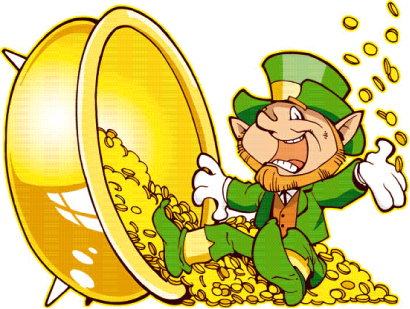 It is exciting to see the coins piling up in cauldrons all across the campus!! Remember that every class that meets their grade level reading goal will win free dress passes and participate in the dance party! SO-KEEP READING!!! 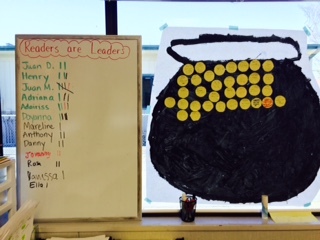 Mrs. Carrillo’s Class’ Pot with a tally chart to keep track of who is reading. Ms. Tan’s class is having a Reading Tournament, but not the kind with jousting-more like the brackets in basketball. Exciting! !